In the US, emergency vehicle light laws differ from state to state. As the title suggests, the purpose of this article is to examine the Emergency Vehicle Light Laws in the state of South Dakota. Understanding these laws may help drivers avoid fines, whether they are public or private employees. More than anything else, we will emphasize the use of specific lights colors and the laws which prescribe their usage. The focus is put on emergency vehicles, such as police vehicles, fire truck vehicles, ambulance vehicles, and so forth. So without further ado, let's dive into specifics. What Classifies As An Emergency Vehicle? According to South Dakota state statute 32-14-1(2), an emergency vehicle is one of the police department, fire department or an ambulance car. The statute also includes those vehicles that belong to city department or corporation that provides public service. These vehicles are also used for emergency situations (as emergency vehicles) but have to be authorized or designed by department (such as Department of Health). There are also situations when the governor has an authority to declare an emergency (if the state is in a dire situation): in such situation, he can organize (and should) organize and manage the crisis in the most optimal way (see 34-48A-1). In South Dakota, any law enforcement (city policy, sheriff, state troopers, etc.) can use a combination of blue and red lights, as described in the 32-17-45 statute. Furthermore, 32-31-4 suggests that these lights should be visible 180 degrees to the front side of the vehicle. Also, 32-31-4 indicates that law enforcement may use white lights, as long as they are combined with red and blue police lights. We should even mention that, according to the 32-17-42, participating members of organized search and organized rescuing units may be provided with rotating (360 degrees) flashing blue light. It is needless to say that the lights should only be used when a vehicle is on duty and on its way to the emergency situation. 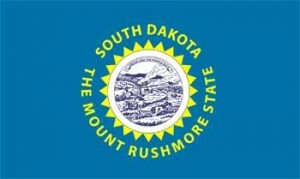 Much like the search or rescuing unites, fire trucks in South Dakota may use blue lights, according to the 32-17-42. The chief of a fire department authorizes fire trucks to use either a flashing light positioned at the front of their vehicles or rotating beacon light visible at 360 degrees. As with other emergency vehicles, fire trucks drivers should use the lights only when they respond to fire or different emergency situations. Any unauthorized usage of fire truck lights is considered as a violation of this specific section and is viewed as Class 2 misdemeanor (read 22-6-2). Though the 32-17-42 doesn't explicitly state that the volunteer firefighters can use blue lights, we believe that this statute includes them too. It needs to be said that any person can purchase warning lights, but that doesn't mean that they can use it. Similarly, to use the blue light (flashing blue, rotating beacon blue, or strobe light), you have to be authorized by the chief of the fire department. If you envision a scenario where South Dakota firefighters aren't capable of dealing with the critical or disastrous situation, some people would probably volunteer for duty. In such situations, chief of the fire department may authorize the usage of blue lights for the volunteers. Still, volunteers should know that they must also regard the safety of others on and off-road. Much like the South Dakota police vehicles, ambulances may also use a combination of red, white and blue lights, according to the 32-26-15. Both paramedics and emergency medical technicians can use either flashing, oscillating or rotating combination of the three lights. Also, the light must be visible 180 degrees (or cover the angle of 180 degrees) to the front of the vehicle. It is also worth mentioning that Health Department may authorize those medical technicians that are affiliated with the registered medical department to use rotating, oscillating or flashing blue lights (much like the firefighter volunteers). Much like the firefighter volunteers, affiliated medical technicians have to be conscious about the way they use the authorized blue light to avoid a Class 2 misdemeanor. A tow truck (or wrecker) can provide its services for commercial purpose, or can be used by a person for personal needs. For instance, one might own a tow truck for towing, pushing or hauling those vehicles that are owned by that person. 32-17-10 explicitly say that tow trucks must be equipped with amber light or lights. These lights (or light) may be rotating beacon lights, flashing lights or blinking lights (or any other type of lights that is used on the emergency vehicles in SD). The most important thing is that a tow or wrecker owner uses amber lights. However, drivers should use the lights only when the tow truck or wrecker is used to tow, wreck, push or haul disabled vehicles. The driver may also turn on the lights if a law enforcement personnel calls them. In this case, the driver uses the light or lights to warn other drivers about their presence on the road. Note that the breaking of this statute is considered as Class 2 misdemeanor. Road or Highway maintenance vehicles can be used for various activities, including snow removal, sweeping, lifting, road profiling, spraying, and so forth. Virtually all US states suggest that their road maintenance vehicles use amber construction vehicle lights so that other drivers don't confuse them with other emergency vehicles, such as with ambulance or law enforcement (see Wiki). According to the 32-17-14, any vehicle (such as truck or tractor) that has a width of more than 80 inches (at any part) must have four clearance lamps. Two lamps must be installed at the extreme right and left sides of the front, and two on the back of such vehicles. The lights have to amber lights, visible from a distance no less than 500 ft (to the front and back of that vehicle). Furthermore, 32-17-15 says that if the vehicles mentioned in 32-17-14 are also more than 30 feet long (in any part), they should also have added three amber lights on the front and three red lights on the back of the vehicles. The lights mustn't be spaced out no more than thirty, and no less than six inches. The lights should be lined horizontally, and be visible from a distance of no less than 500 ft. Note that the fire vehicles are exempt from this statute (according to the 32-17-21 statute), for they are equipped with the lights that are specific to them. The same rules (regarding Road Maintenence Vehicle Lights) apply for power trucks (32-17-14 and 32-17-15). Such vehicles are often wider more than 80 inches and should have four amber clearance maps. Furthermore, larger power trucks, those that are longer than 30 ft should also feature three amber lights on the front, and three red lights at the back of their vehicles. According to the South Dakota truck info, any vehicle that is wider than 102 inches, taller than 14 feet and more massive than 20 000 pounds (single axle), 34 000 pounds (tandem axle) and 42 000 pounds (Tridem axles) is considered to be overloaded. Such vehicles have to apply for a special permit if they want to transport their load. You can also read the permit manual here. Here, we mainly refer to those vehicles that patrol mall parking lots. Security vehicles aren't classified as law enforcement vehicles or emergency vehicles, and thus the can't use blue lights, and the combination of red, white and blue lights (according to 32-17-45 and 32-17-42). 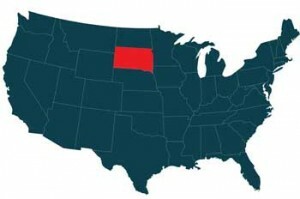 In fact, South Dakota doesn't have a law designed specifically for security vehicles. But, 32-17-17 says that every motor vehicle can use up to three auxiliary driving lamps. They should be mounted at the front of the vehicle at the height no more than 24 inches and no less than 12 inches (above surface level). Lights should comply with all statutes from 32-17-1 to 32-17-16 (see 32-17).